Hi-fi stereo technology came into its own in the 1950s with the advent of the 33-1/3 record and improvements in sound reproduction. 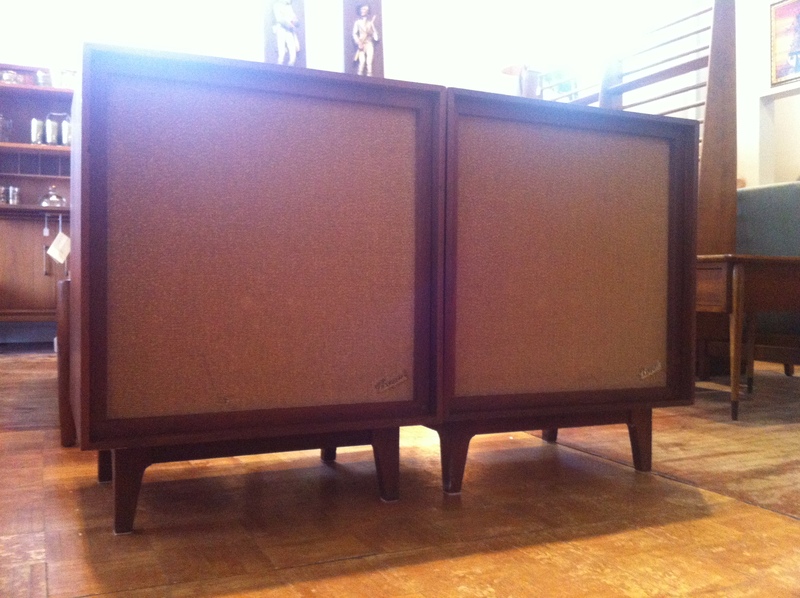 That included high-end components like these Bozak B-302A speakers. my dad had these bozak speakers from the 1950s,I now have them after he passed on,they still sound great,never rebuilt. 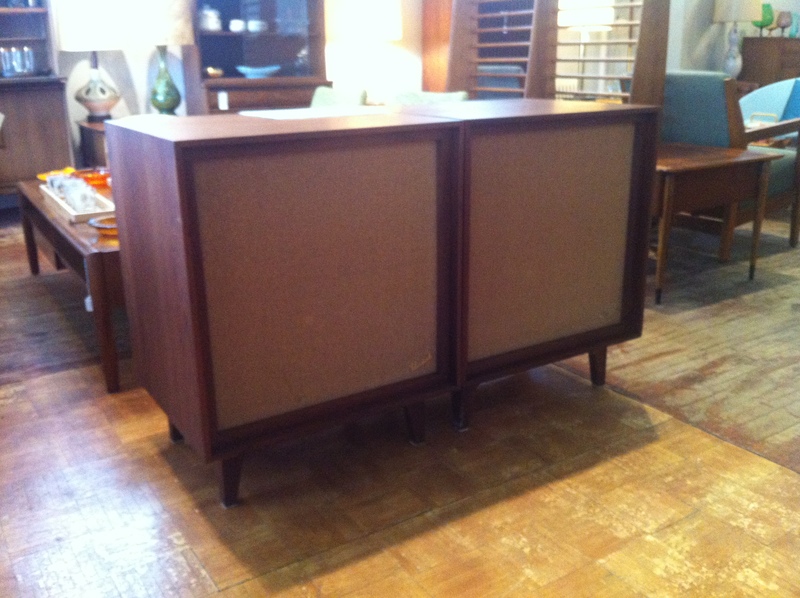 He had a mahogany cabinet built to match the speakers to hold stereo components.Speakers are mahogany finish. The sound holds their own against todays speakers. /Yes indeed, I am lucky enough to have two of the hanging shelves, I never knew the storage box and desk even existed, I live in Chicago and was lucky enough lucky enough to have this on display in one of our major downtown museums. Wow. You must have an incredible home if you have both the Bozak speakers and the incredible Norsemates room divider. Any chance that your room divider includes some of the incredibly hard-to-find cabinet and shelf modules?